It is the keen business acumen and the courageous vision of Dr Roy CJ that has made Zion Hills possible. Dr Roy CJ is the founding Chairman of Confident Group. Foreseeing the potential of distant underdeveloped suburbs to emerge as future luxury destinations, Confident Group acquired this large tract of land and backed the vision to create a golf community in a very unlikely location. Dr. Roy is a PhD in Business Administration from SBS Business, Zurich. Dr Roy has more than 2 decades of Real Estate and entrepreneurial experience preceded by experience in companies such as HP, TVS & BPL. He continues his patronage of ZionHills especially with regard to all land related matters and as non executive Chairman of ZionHills Golf Pvt Ltd, the operating company that operates the golf course through a lease arrangement. Sunil is the President of Confident Group, is an Industrial Engineer and a university topper. He started his career with Mico Bosch, moved on to Hewlett Packard and worked with the company for over 16 years. He held top positions in manufacturing, supply chain services, operations and finance and gained insight into varied aspects of corporate management. He was last posted by HP to Singapore as Director (Finance), South East Asia. Leaving an extremely successful career in HP, Sunil joined Confident Group as its founding CEO. His skills and charisma have lent much impetus to the Confident Group and to the development of the golf course. George as promoter & MD of Zion Hills is in charge of delivering this dream. George, after completing his MBA, started his career with Hindustan Lever and thereafter worked with ANZ Grindlays, with HSBC Bank in India, Australia, UK and USA, he worked in many senior positions. Rishi is a self made entrepreneur with extensive business interests in various spheres ranging from logistics, finance and Real Estate. 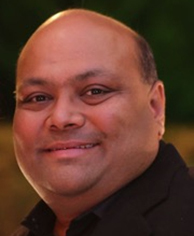 Rishi has been a customer and investor in Zion Hills since its inception. Rishi has been an active proponent of the project and has recently expanded his involvement in the project to be an active promoter – investor. A seasoned Real Estate investor, Rishi brings his keen business acumen, experience and industry network across the country to help take Zion Hills to its true potential as a landmark project in the country. A dynamic Engineering professional with over two and a half decades of rich experience in leading organisations with his expertise & skills. He is the Promoter Chairman and Managing Director of Convenient Construction & Consultancy Pvt. Ltd., Convenient Hospitality Services Pvt. Ltd., and Convenient Reality Solutions Pvt. Ltd., helping new developers in setting up their real estate vertical, put systems in place in accordance with the best industry practices, helping them with their real estate operations. 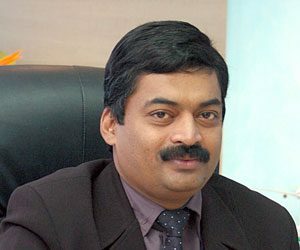 He has lead many massive projects from concept and inception untill handing over, across a wide spectrum of sectors like Residential Developments, Hospitality, Health Care, Retail, Commercials and IT Parks etc. 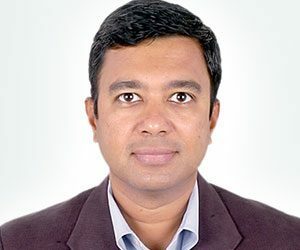 Using modern techniques, Critical analyses and his excellent skill set of Financial Planning & Budgeting, Procurement and Client relationship Management has helped him achieve all targets under stringent time schedules with effective cost controls. 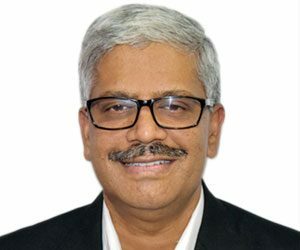 He is an active life member of All India Management Association, Indore Management Association, PMI (International), International Association of Amusement Parks (IAAPA), Indian Concrete Institute, Indian Institute of Bridge Engineers, Fellow Institute of Valuers, life Member Institution of Engineers & CEO Club India. Recently felicitated with “The Most Enterprising CEO of the Year” by Asian Real Estate Leadership Awards in Dubai, Mr. Nair has many awards and accolades in his kitty like, The Bharat Vibhushan Samman Puraskar by Global Achiever’s Foundation and other prestigious recognitions for his Company by ALL INDIA ECONOMY SURVEY AWARD COUNCIL (2014, 2013) and Global Quality Awards. He was nominated for Ernst & Young Entrepreneur of the Year Award 2014 & has under the belt a lot of awards in the field of services being provided. A Civil Engineer by profession with PGD in Personnel Management is harmoniously managing tasks with a talent for keeping a perfect balance in all spheres of professional and personal life. Ron is possibly one of the most well regarded golf architects of modern times. 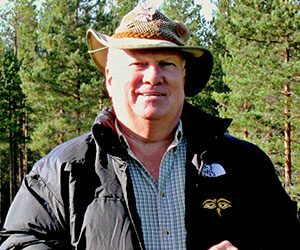 In 1966, Ron began his career as a golf course architect with Robert Trent Jones Sr., before venturing to start his own design firm, Golfplan Inc in 1972. Over an illustrious career spanning 40+ years he has designed about 200 courses over 65 countries. He has been the winner of many prestigious accolades including life time achievement awards from the Asian Golf Magazine and being ranked amongst the 15 most powerful people in Golf worldwide by Golf Inc magazine. Ron has a particular passion for golf in Asia and is almost unmatched in his knowledge and experience of golf in the South Asian region. His leading courses in Asia include the Serapong golf course in Sentosa, Singapore where the Singapore Open is played, Saujana in Kaula Lumpur, a venue for the Malaysian Open, Nine Bridges in Korea etc. Ron’s courses stand testimony to his low intervention approach, with every course designed uniquely to best leverage nature’s special gifts for each site. Zion Hills is Ron’s first golf course in India and is inspired by Ron’s belief in the unique appeal of this site and his firm belief that Bengaluru is poised to be one of the world’s leading golf destinations. 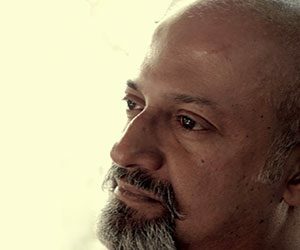 Arun Nalapat Architects (ANA), is a bangalore based design practice doing a wide variety of projects across India, the Middle East and North Africa. The firm has won numerous awards and has been recognised in various fora for design excellence both in India and abroad. ANA believes that each project is a singularity, built on a unique site, for a particular client at a specific time. It will never happen again. Each project, a beginning, a movement towards an unknown end. Their approach, while informed by their previous projects, is not guided or limited by them. More information about the firm is available on their website – www.nalapatarchitects.com and on their facebook page. Bill is the Creator in Chief of the golf course at Zion Hills. At Zion Hills, Bill is Director of Golf Construction and has been a part of the team since 2009 making Kolar his home over the last several years. Apart from supervising all construction, Bill is often found atop his favourite bull dozer, personally working his magic on the ground to shape the course. The much admired contours of the course is a testament to his skills. A significant influence to the Zion Hills team, Saravanan heads Sales at Zion Hills. 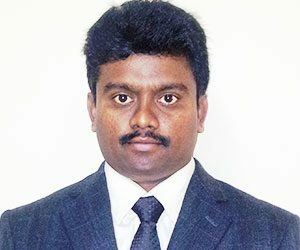 Saravanan is a B Tech from Anna University, Chennai, who after a few early years spent pursuing an Engineering career, switched to the then nascent organised Real Estate industry. 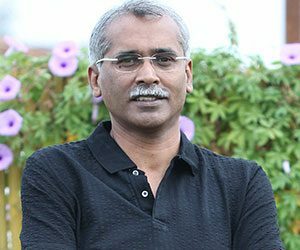 Saravanan has more than a decade of experience in selling high end homes across leading firms such as MAYTAS, ILFS and most recently Tata Housing where he led sales for their premier Bangalore project, The Promont. Saravanan has a particular passion for selling unconventional and unique properties and at Zion Hills has discovered a product just up his alley. and personal life. Arjun, an Engineer by education, decided on early in his life that his true calling was golf. He is a zero handicap Professional Golfer and a certified Golf Teaching Professional. He played on the Professional Golf Tour of India for a few years before starting his journey with Zion Hills which included anchoring several training programs and corporate clinics. As Director of Golf Operations, he looks after Business Development, Operations and Customer Experience of the golf and hospitality at Zion Hills, bringing his boyish charm and skills to ensure that golfers and guests at Zion Hills have a great experience and continue to come back for more! Nagabhushana is a veteran at Golf Maintenance. 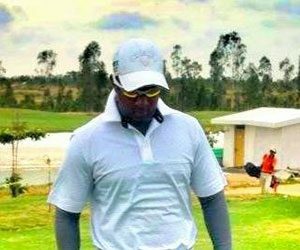 A post graduate in Agriculture by education, Nagabhushana’s golf career started as Golf Course Superintendent at Bangalore Golf Course. After a successful stint there, he went on to help build and later manage the Oxford Golf Course in Pune, another much admired golf course in India. Thereon he moved to KGA in Bangalore, where under his care, the course was rated the best golf course in India. 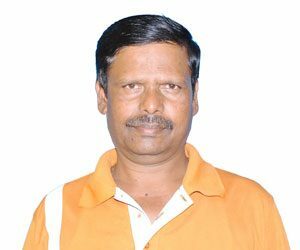 Nagabhushana has been part of the Zion Hills team since inception. As Director of Golf and Property Maintenance, he is responsible for the maintenance and administration of the overall property including oversight of golf course construction, management of public relations within the local community and positive engagement with the community. The highly lauded A4 Bent grass greens at Zion Hills is a proud testimony to his skills and passion. 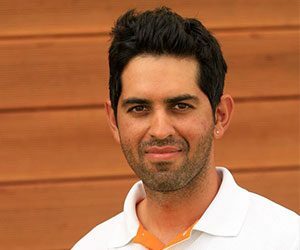 Tarun is an entrepreneur and founder of the TSG GOLF ACADEMY at Zion Hills. 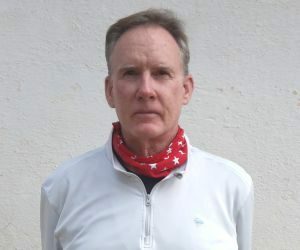 He is an IGU Certified Class A coach with certifications in golf fitness (from TPI USA), putting (Harold Swash Putting School, USA), Aim Point Express (USA) and Flight Scope (USA). Tarun’s passion is to create golf champions of the future. He partners with Zion Hills to create one of the leading centres of advanced golf learning in India. He is committed to building an academy system of training rooted in one teaching philosophy. His eco- system today comprises experts in various fields allowing students to access the right people at the right time. The latest addition to the academy is the indoor training studio. In this space, he uses the Sam Putt Lab and Flight Scope technologies for golf analytics and custom club and putter fitting for serious golfers. Tarun’s passion for the sport is contagious and his commitment to his students is the basis of everything he does. He is constantly learning and furthering his own knowledge to help every student be the best that he/she can be. He has recently been inducted in to the NGAI Teaching staff and will be responsible for training the new crop of teachers. Tarun’s partnership with Zion Hills has propelled the TSG Golf Academy at Zion Hills to become one of the most sought after destinations of advanced golf learning in the country. Apart from his program at Zion Hills, Tarun also leads the Junior Golf Development program in Bangalore cutting across KGA, Bangalore Golf Club & Zion Hills. Zion Hills Golf County melds your passion for a world-class golf lifestyle with an exceptional community for the whole family. The project is located 70 km from Bengaluru near Kolar. © Zion Hills Golf County. Built by Creative Open.